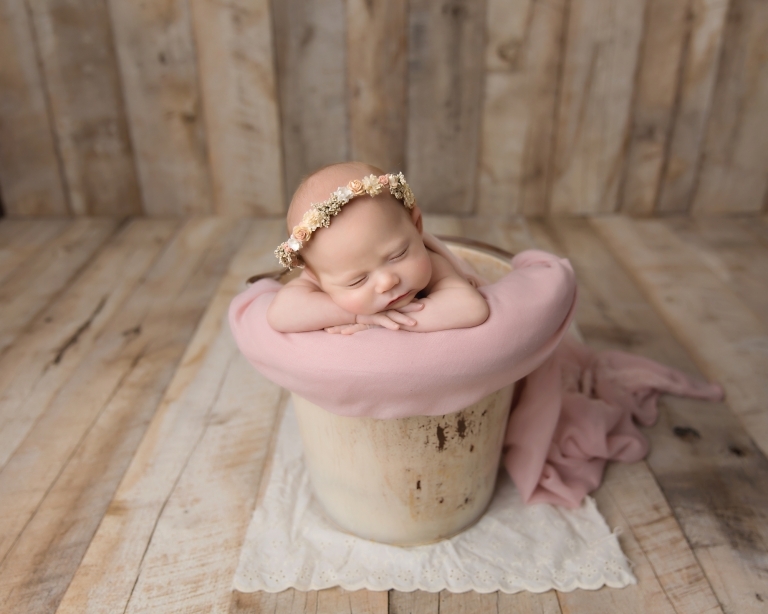 Welcome, Miss Elise to the blog! It’s always an honor to be chosen as a Wooster photographer, but this little lady’s last minute session was so special. Her parents had given up after many years of trying to conceive and then had a tough pregnancy and delivery. She made her way into the world early, and after a stay in the NICU, was finally able to come home. When her momma contacted me for a last minute session, I knew we were meant to be. Her parents are the nicest, most appreciative people. I am so very thankful they trusted me with their bundle of joy! For every session, I have my clients complete a questionnaire, asking what photos from my website, blog, and Facebook page they like. Elise’s momma sent me several photos which I am always happy to recreate! So if you see some repeating patterns from other blog posts, this is why! 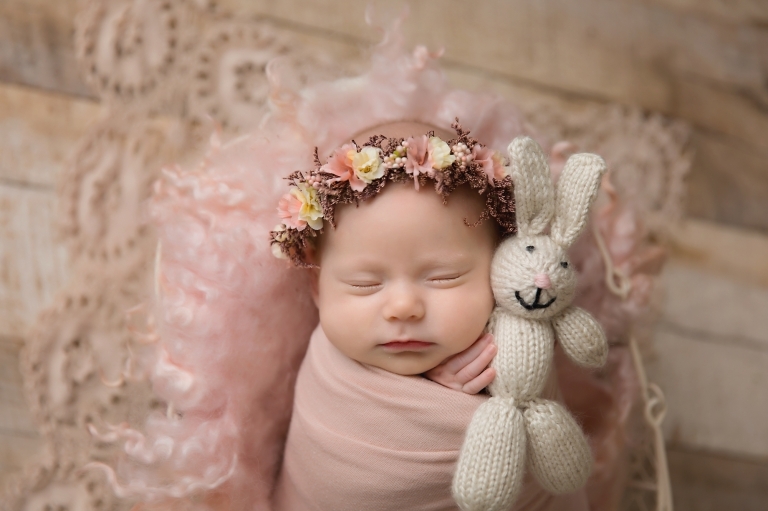 This bunny from Mary’s Knittin is almost always a request, especially for little girls. It is definitely a client favorite! A sleepy little one always needs a snuggle buddy! This lace blanket is my most requested blanket for girls. 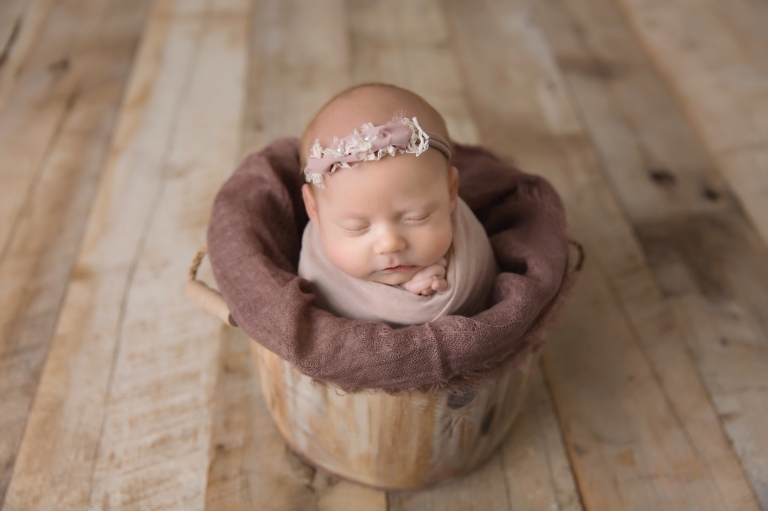 It is soft, delicate, and neutral, everything that we love for baby girls! This froggy pose is so cute isn’t it?? It is important to note that newborns will not hold this pose on their own, my hands and her daddy’s hands never left her. We took two photos and put them together in photoshop to create the final image. Thank you so much for stopping by! Like what you see on the blog? 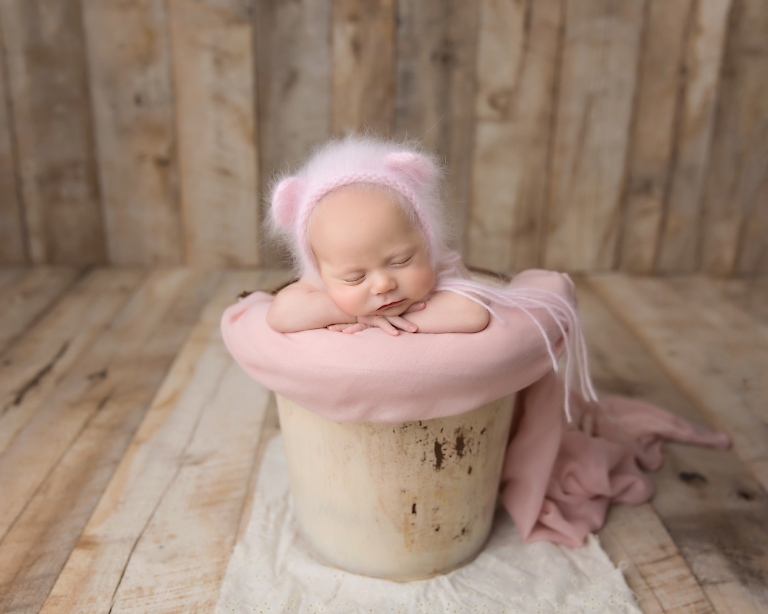 Please check out other newborn photography posts and the newborn portfolio. Looking for a Wooster photographer? Please contact me today to schedule your session. I specialize in maternity, newborn, and baby photography and would love to create a session just for you!